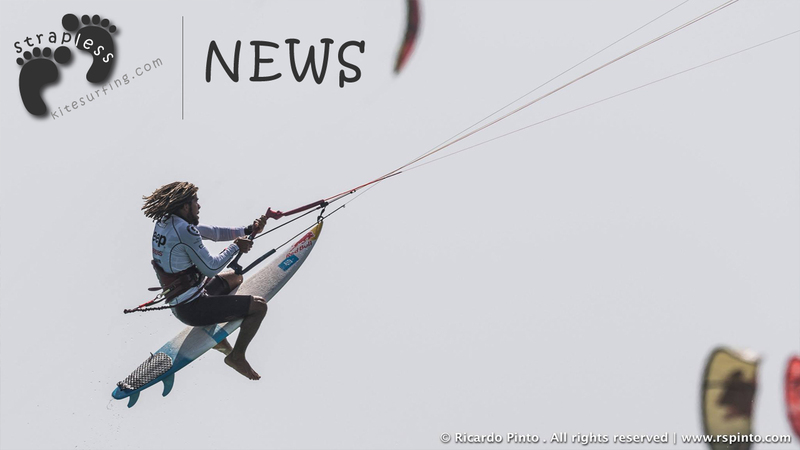 Left tentatively hanging at the end of day three at the Tarifa Strapless Kitesurfing Pro on Friday, it felt like a long wait until the Levante wind eventually decided to kick in for the start of the semi finals on day four. 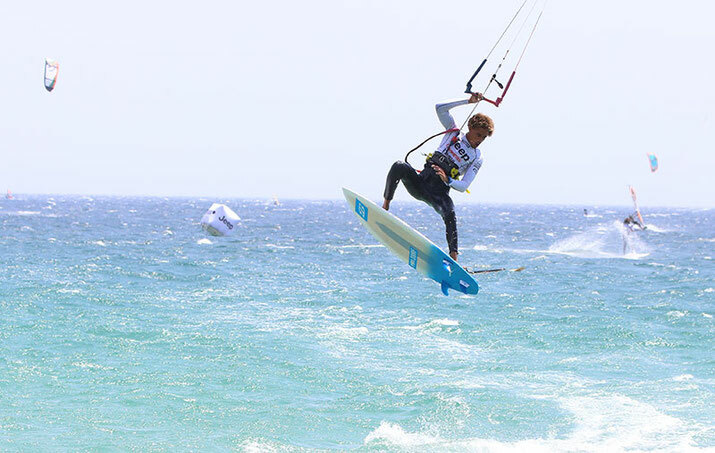 A complete switch in wind direction from the Poniente of previous days, the morning started out very hot indeed, but that certainly also brought the crowds to Valdevaqueros, eagerly anticipating the mouthwatering performance potential from the four riders who would be vying for the first event win on the 2016 GKA Wave & Strapless Freestyle Tour. Eventually a wind line started to approach the shore and within minutes the wind reading on the dial in the judge’s tower hit 20 knots. At 4pm it was game on! Slightly cross-offshore and punching through, the Levante left some lighter wind patches close to shore, however the kickers were holding up much more invitingly and this change in conditions meant we’d get to see how the riders could adapt to the different direction, and their ability to do tricks both ways. Getting straight into the ten minute heat, the action ran hot. 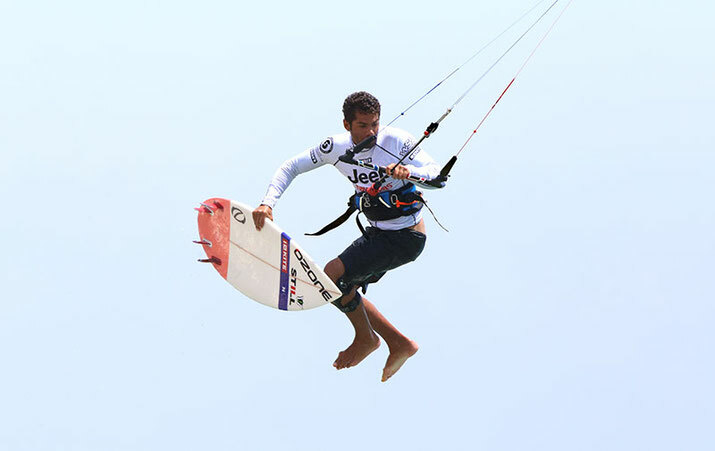 Jan Marcos started with a trademark tictac kite loop. 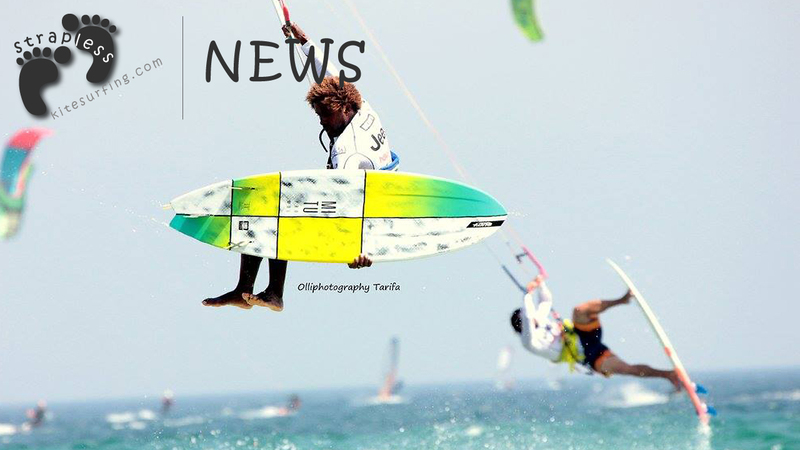 Matchu hit back with a big kite loop back roll before the pair traded off with several regular and toeside air reverses. Jan Marcos repeatedly came in close and urged the crowd to cheer harder, which they did with each of his high, clean front rolls. Alas, the local star couldn’t quite match the measured technicality of Matchu who obviously had his sights set on the final from the beginning. 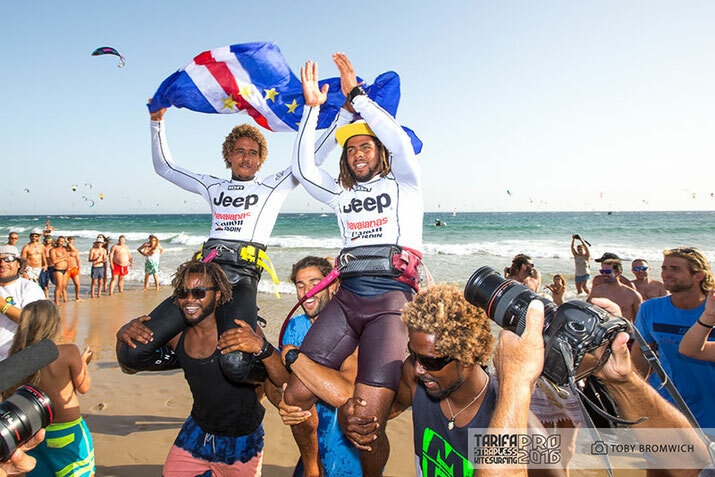 Throughout the contest the accomplished Cape Verdean consistently but steadily increased the extremity of his performances as the heats progressed. A clean front roll shuvit and a front to blind sealed his place in the final. Here was a very intriguing match-up with two riders who have the closest in powered styles. 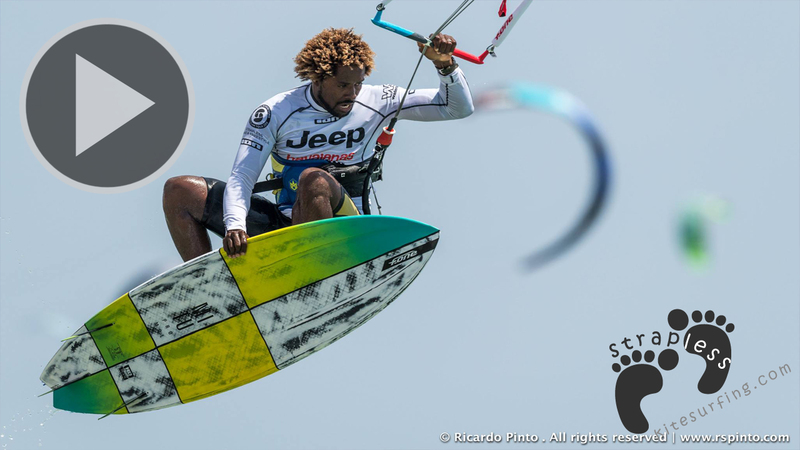 Paulino and Airton had consistently nailed powered flat 3s, landing hard and fast – making them look far too easy considering the dedication it takes to master such a strapless manoeuvre. 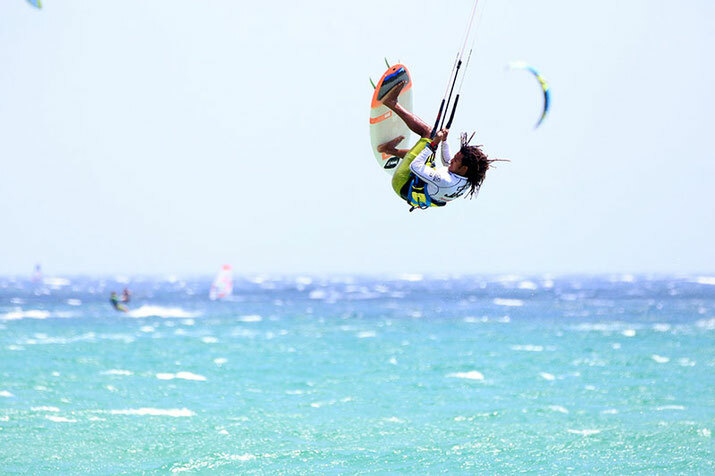 Paulino started with a big kite loop but crashed heavily. He didn’t try that trick again in the heat, whereas Airton managed to stomp a couple. Paulino then landed his unique board-off, a frontside 3 and a very special backside 3 coming in over a small wave into the flats. 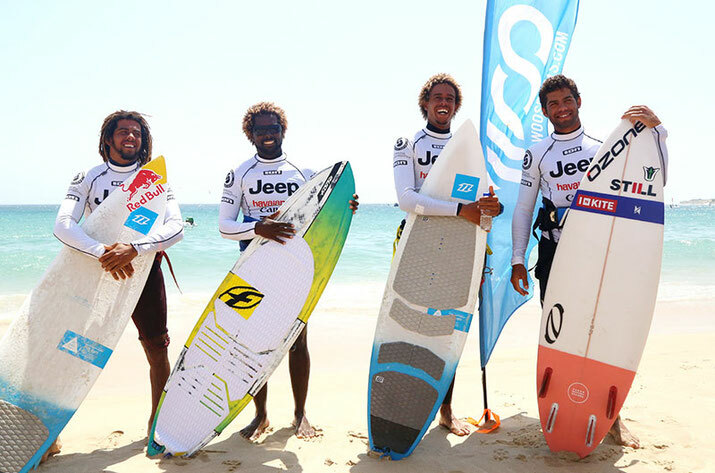 The potential for what we’re going to see when these guys get into proper waves later in the season is mind blowing. As in the quarter finals, although Airton always rides with a great fire in his belly, he got off to a slow start in terms of successful landings. Soon finding form again, he retaliated with a massive frontside 3. From that point this heat was stacked with action, Airton managing to land eight tricks in a row on four tacks, doing enough both ways to impress the judges. His list of tricks included a clean front roll shuvit, back loop kite loop and toeside air reverse. He booked his place in the final to meet his great friend Matchu. The mini final was abandoned halfway through the heat due to dropping wind conditions. Just when we thought that was it for the day, the Levante peaked once more, delivering us the Saturday finale after all. 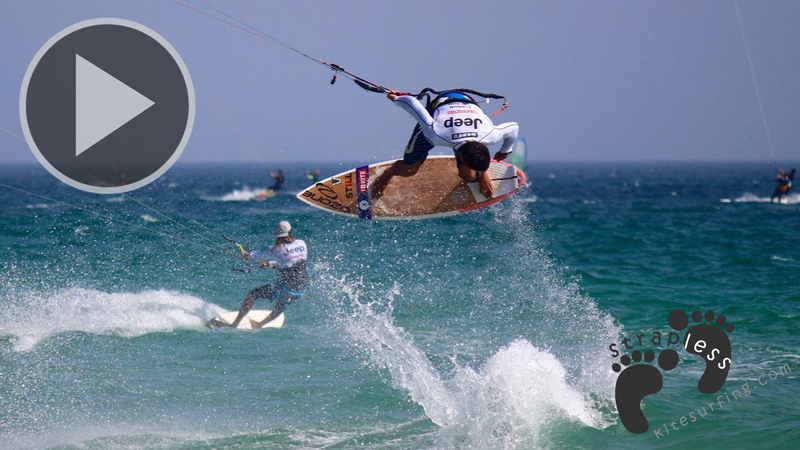 At 7pm, Paulino and Jan Marcos hit the water again for a re-start. Looking more comfortable with the wind back up to 20 knots, knowing that this was their last heat in front of the packed beach, the boys rode with a more relaxed flair, obviously enjoying themselves, but it was the Portuguese rider who took the third spot on the podium, edging out Jan Marcos with more power and technicality. 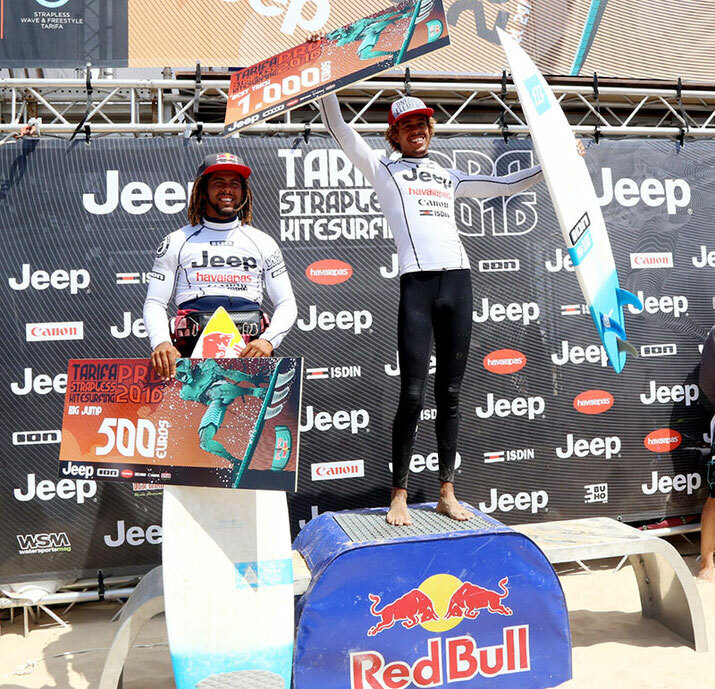 Both riders looked totally stoked to receive their trophies on Sunday after the best trick contest – showing just how much it means to finally have this developing contest scene, allowing them to push the sport and each other. 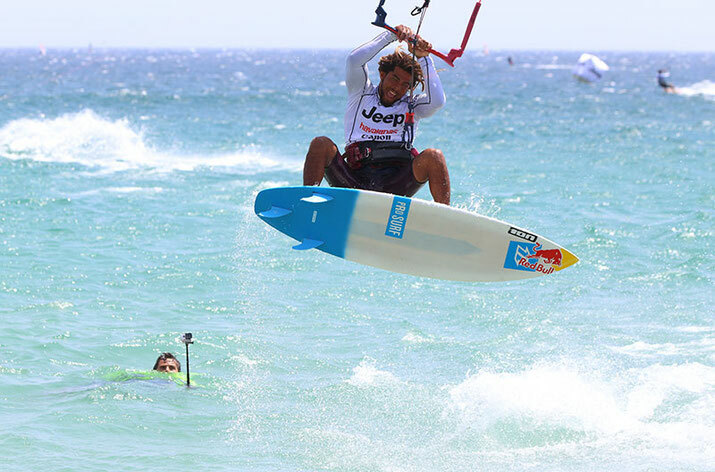 Riding with Woo devices attached to their boards, contest directors gave the crowds a final thrill on the last day of the contest window with a best trick contest in the howling Levante winds. Big kite loops were the order of the day and we saw some gnarly wipeouts go down close to shore, to huge gasps from the spectators. Getting that board back under your feet and landing solidly from height at speed takes nerve. Sadly Julien Kerneur was a casualty, being stretchered off to hospital with an ankle injury. We wish him a speedy recovery and hope to see him at round two in Sotavento. 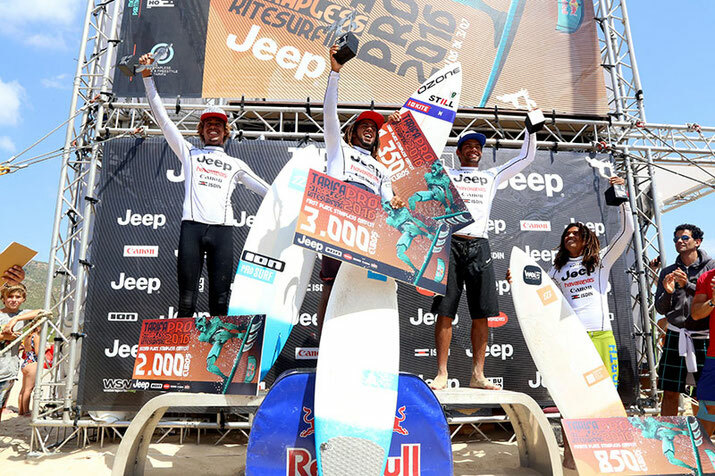 On a high after Saturday’s result, Airton, Matchu and Paulino all made it to the final and were rightly joined by Mitu Monteiro. As the final heat of what has been an incredible contest with action on all five days, we were treated to one more full bore throwdown. Kite loop after kite loop went down, the crowds roared, but in the end it was Matchu’s solid double front roll – easily the best of the contest made all the more viable in the strong winds, that earned him top spot on the podium. Airton finished second and registered the highest Woo jump reading with a height of 5.8 metres in the final. 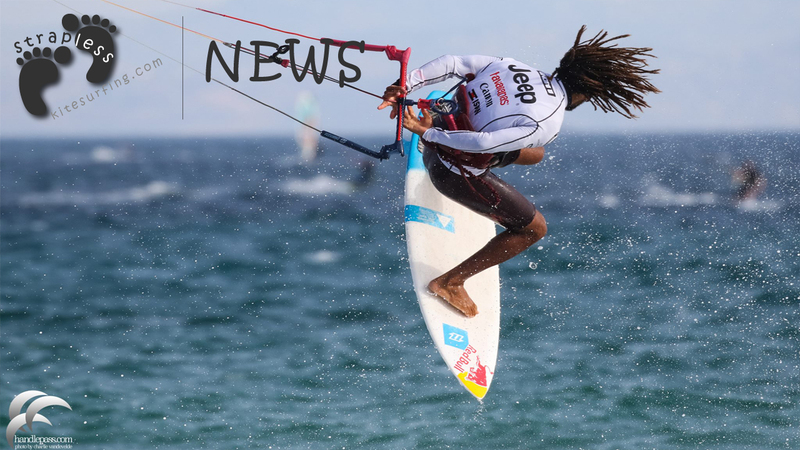 The GKA Wave & Strapless FreestyleTour will see a mix of freestyle and wave events over the next few months, eventually resulting in the crowning of a GKA Wave & Strapless Freestyle Rider of the Year. 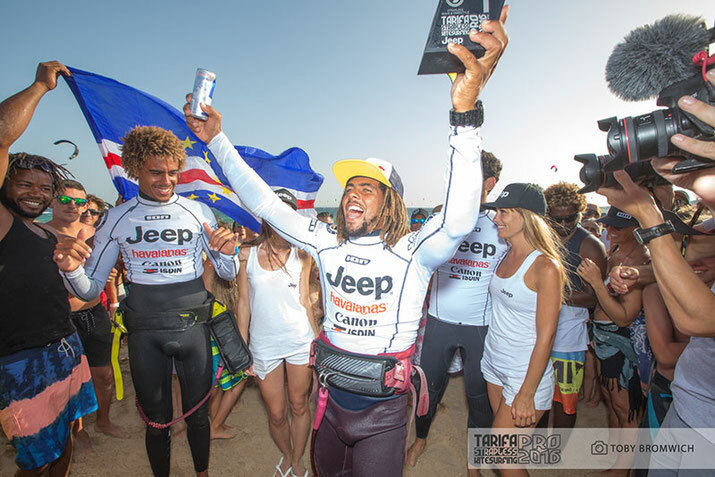 The tour moves on to Sotavento in Fuerteventura in August, Mauritius in September, Dakhla – Morocco in October and Fortaleza in Brazil in November. 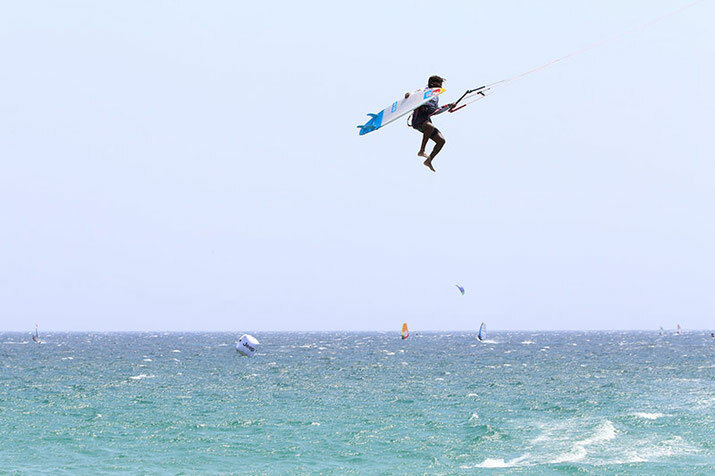 This first event in Tarifa kicks things off as a purely strapless freestyle event.